This would be a great follow-up read if you enjoyed Land of Love and Drowning by Tiphanie Yanique. They were published about a year apart, and both are set in the Caribbean. 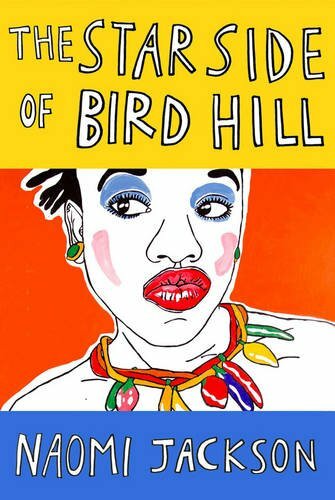 Where Yanique's book had the heft and sweep of an epic, The Star Side of Bird Hill is like a zoomed-in version, though it similarly focuses on family and the complex relationships within. Sisters Phaedra and Dionne are sent by their struggling single mother to Barbados to live with their grandmother. Raised in Brooklyn, the girls find the island a strange and surprising place. Relations in the household are often strained because the girls don't fully understand their grandmother, an obeah practitioner, and because she doesn't always know how best to talk to her maturing granddaughters. Like Land of Love and Drowning, there is a dreamy quality that pervades the novel from start to finish, as if you're drifting through the characters' stories instead of being rushed along. It's perfect reading for a rainy Saturday, spent dreaming of warmer climes and younger days.